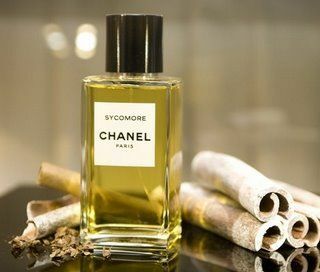 It is highly unlikely that I would ever wear Chanel Sycomore. It is too rough and “outdoorsy” for me, a total priss who loathes hiking. However, I really enjoy smelling it. Sycomore is an unusual fragrance, particularly for the somewhat conservative house of Chanel. Sycomore’s natural feel is also out of character for Chanel, the master of aldehydes. Sycomore is a warm-toned vetiver fragrance. It smells hot, sticky, and spicy, with a thread of green running through to cut the warmth. Sycomore is a truly unisex scent, although all that vetiver might make it more popular as a masculine. Highly recommended for all of you earthy types. Sycomore was my husband’s wedding scent. Since it’s associated with a special occasion, I haven’t tried wearing it myself. But I do love it. Ooh, how terribly romantic! 🙂 I think that Sycomore would be terribly handsome on a man. Now, what was your wedding scent?? Your friend sounds like a very bold fellow! Is he a perfume blogger too, or just a man who appreciates a good ‘fume? Michael, I would be happy to send you my sample if you would like! I do not think that I will be wearing it again. 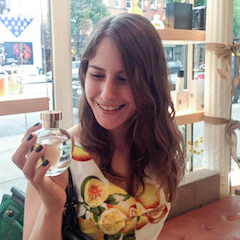 I have a mini, and I do like it, although I find it to be more of a novelty wear rather than a “me” fragrance. Last time I wore it someone described it as “smelling like the inside of a tree”, so I think you’re pretty spot-on in designating it for the earthy/outdoorsy types. Nice! I’ll have to keep your picks on my radar then!. Ah, in that case maybe Sycomore only seems outdoorsy to a total outdoors noob like myself! Supreme Woody Scent. It smells terrific. To me a little boring after a while… like most of woody scents out there (just the same story, different pen!). I’m so bored with myself for that, I wish didn’t go like this 😦 Because it’s really nice. And like you, I also think it’s out of character, it doesn’t feel like a Chanel, it has a smell that is totally outstanding. 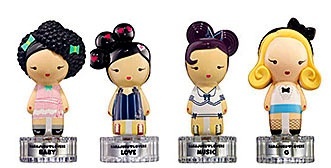 The issue is clearly not with you, but with the woody scents!!! I think that Chanel should have marketed Sycomore as a masculine, and sold it in the mainstream line. I bet it would have done well! It smells fabulous, and there’s nothing particularly challenging about it. I really don’t get what people see in woody scents, even if they’re marketed as masculines, which I appreciate, though. Anyway I always need something more than plain woods in the composition… otherwise, it’s just a pleasant smell and nothing else (well, unless the man’s skin chemistry would feel particularly special with that kind of scents, of course…). That ‘The inside of a tree’ comment is superb. That’s what I think about woody scents when I’m liking and complimenting, in the best way possible. But when I’m thinking about a woody perfume in a bad way, I simply think that ‘smells like a big log’… this also have an humorous connotation in spanish.